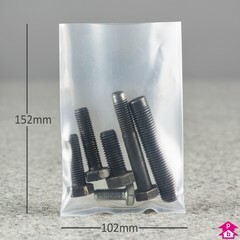 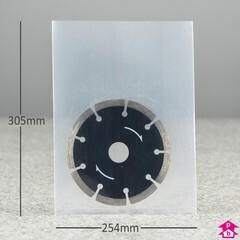 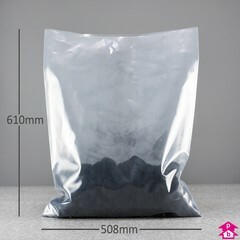 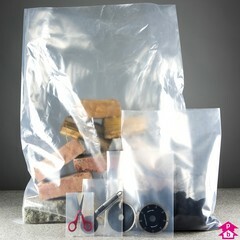 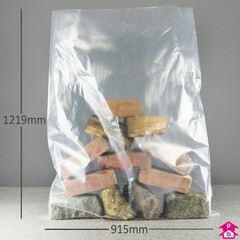 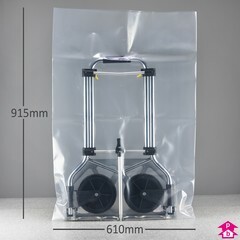 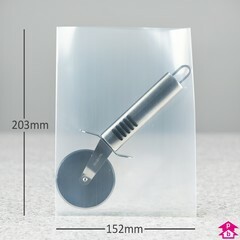 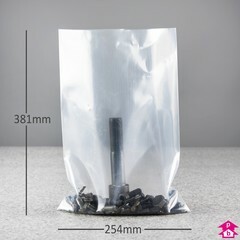 These ultra-thick plastic bags are made from 800-gauge clear polythene to provide the ultimate in plastic bag strength. 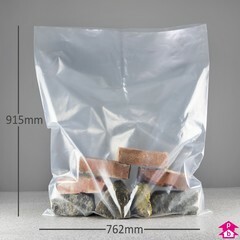 Twice as thick as most heavy duty bags, these 'mega' bags can cope with heavy loads and sharp items like no other bags! 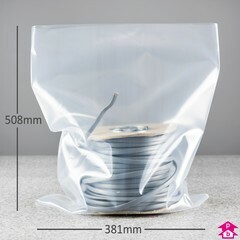 Remember that we are manufacturers so if you want any other thickness of plastic bag, let us know and we can make it for you!